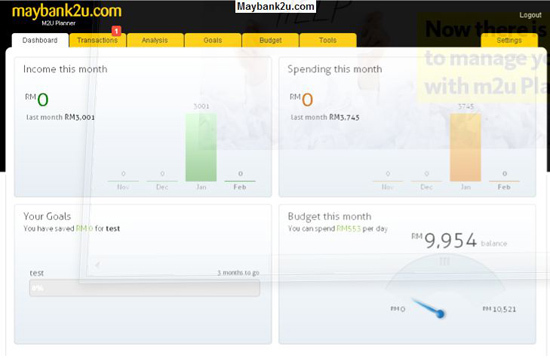 Perfectsen launched its online financial management app, M2U Planner with Maybank, Malaysia’s largest bank. It allows us to automatically track our spending and budget, set goals, view insightful charts and reports. This prepares us to make smarter decisions with our money and avoid falling into debts or financial problems. 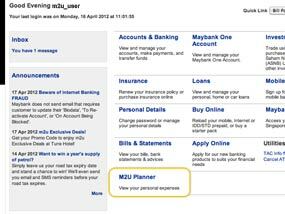 M2U Planner is now available to all Maybank customers in Malaysia. They can use this service for free when they are doing the banking online. If you are withdraw more money from ATM or using the credit card to increase your debt, it make you will have some problem, such as not control your financial money, and face the challenge of paying the debts. 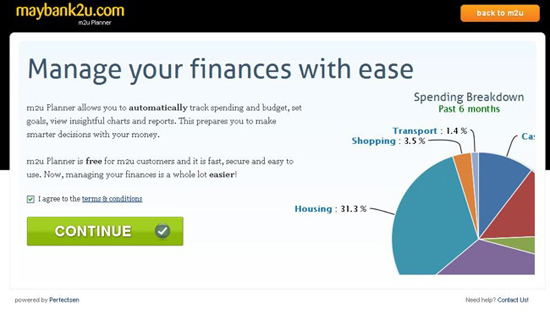 How to apply Maybank2u Planner? “M2U Planner by Perfectsen is an easy and efficient way to manage personal money right at your finger tips.” commented Carol Yip, a personal finance management author and speaker. *Security of Maybank bank: Remember - You must NOT believe the email which the fake bank or spammers send to you. You must NEVER click on the link in the email which sent by spammers. Because the REAL banks NEVER email you about the click on the link to update security, information and account blocked. Please visit the DeafMoolah - a collaborative non-profit organization envisioned to be the information centre of all pertinent financial information for the Deaf community. It is an organization managed by the Deaf for the Deaf. DeafMoolah team is made up of Selina Ooi, Daphne Eng and James Chua with Carol Yip as Advisor.